11 speed cassette for Campagnolo. Marchisio MTK cassette for Campagnolo compatible hubs. 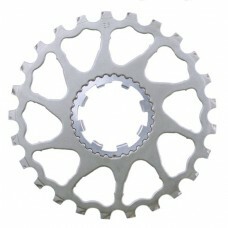 The cassette includes all required parts except of the lockring. 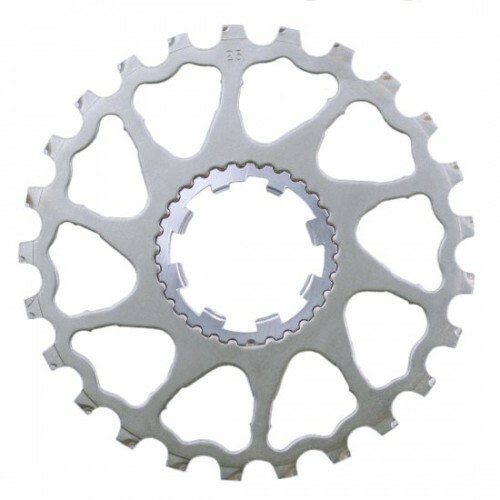 To specify the gearing please type e.g "12-23" or detailed "12, 13, 14, etc." into the gearing's field. 27 mm lockring for Camagnolo. Fits hubs built from 1999 until today. For cassettes starting with 12 ..
Marchisio 26 mm lockring for Campagnolo. Fits hubs built until 1998, referred to as "Campagnolo 9 sp..